We’re going back to basics. Trof Presents some of the best talent from Manchester (and afar) to bring you border crossing, genre spanning music every weekend. Ranging from Afro, to Disco, to Hip-Hop – you better believe we got you covered. Think of it like a curated selection of DJ’s in your own front room… right at home and never playing anything you don’t wanna hear. Open door policy. Hang-ups and egos strictly no entry. Meanwhile, DJ Rev Austin (AKA Selfish Lover) continues to bring us all the funk, soul & future hip-hop we need in the Bourbon Bar at Send Nudes. 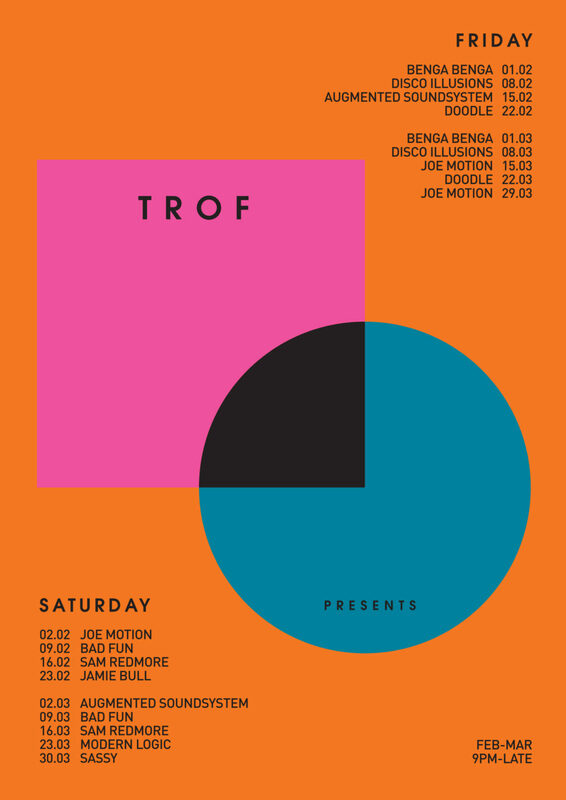 Combined with stunning new Saturday listings on the ground floor, 2019 is shaping up to be full of good vibes and momentous music at Trof.